Luis Elizondo talked expressly about that and all the accusations about using that image. But he says if you watch the original presentation, they were never claiming that image was a geniune UFO. I think it was in the interview with George Knapp. I'll check that out. All in all, I think Wilcock is right that the UFO community can police itself but we still have to be very cautious. Last edited by Longeyes; 06-07-2018 at 11:42 PM. In case anyone is interested in reading the Luis Elizondo article Longeyes mention. MUFON has posted a copy of the May 2018 MUFON Journal online. Luis Elizondo will be the Keynote Speaker for the MUFON Symposium at the end of this month. It's being held in Cherry Hill, NJ this year. He will also be interviewed by George Knapp this Sunday night in C2C. UAP has even been associated with demons and anti-Judeo Christian beliefs. I experienced this first-hand during my time working at the U.S. Government’s Advanced Aerospace Threat Identification Program (AATIP), where certain senior government officials thought our collection of facts on Unidentified Aerial Phenomena (UAP) was dangerous to their philosophical beliefs. 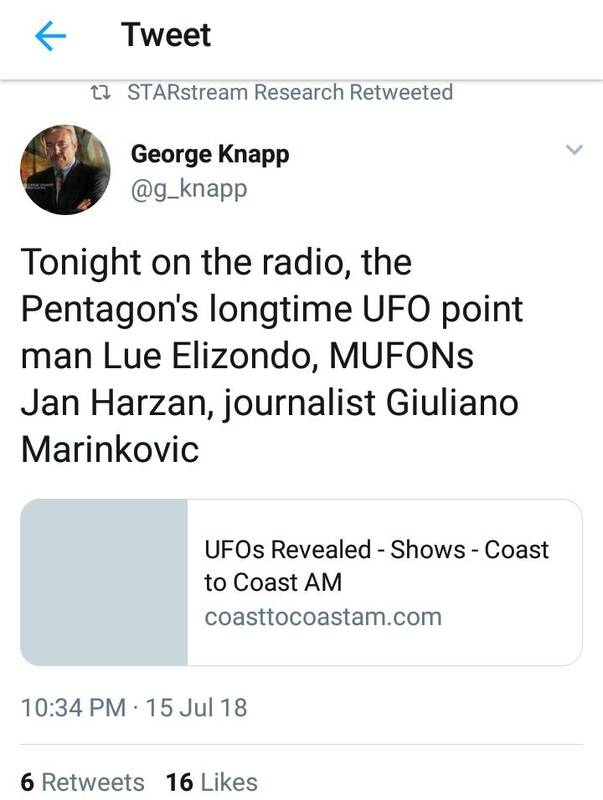 We reviewed that news story ("Military leaders belief that UFOs under demonic control interferes with investigation") last May 2018, including links to some of LuE's comments "in this post". Certainly worth another look. Another great article by Mr Elizondo, very interestingly he mentioned teleportation. ...Quantum mechanics is a physics theory that studies the behavior of matter and energy at the atomic and subatomic level — and now, it’s helping to shed light on some of the most mysterious areas of science. Areas including teleportation, quantum entanglement, and zero-point energy are providing new insights into the very fabric of our reality and space-time. Ideas popularized by sci-fi shows like StarTrek are proving more real than you might think. I'm sure most physicists would disagree with this being called 'teleportation'. The only thing that has been transmitted is information. I think the original confusion arouse because you could use information to recreate something at the other end. Last edited by Longeyes; 03-06-2019 at 12:34 PM. Yeah, not exactly Star Trek. It’s a ‘slight’ exaggeration of what really occurred. Everything needs to be hyped.